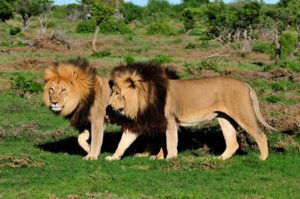 This adventure safari is perfect for those who want to visit the great wilderness areas of Botswana. Starting in Kasane, Botswana and ending at Victoria Falls, this affordable safari is full of adventure and ideal for those wanting a unique safari. 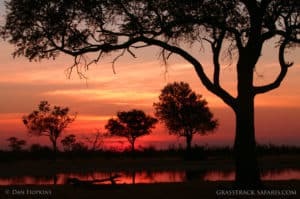 On the Lion Safari you’ll experience the vast grasslands of Nxai Pan, the swamps of the Okavango Delta, and the Moremi Game Reserve and Chobe National Park. 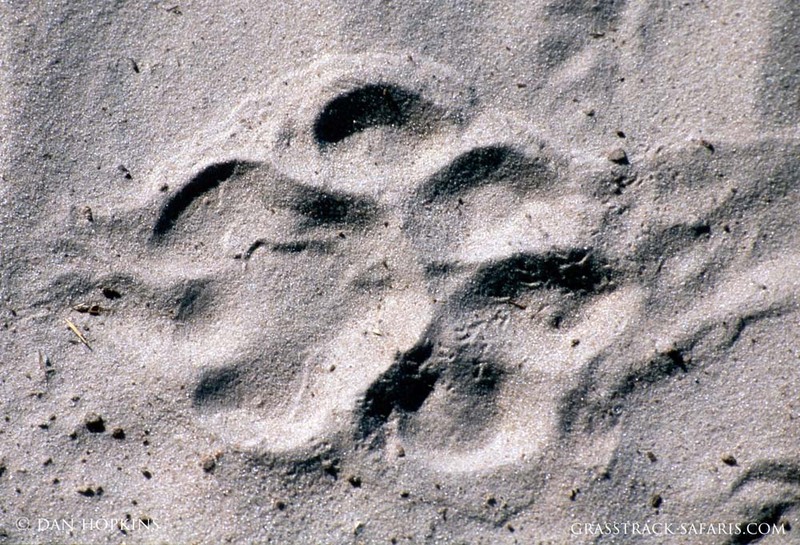 These reserves offer some of the best wildlife viewing in Africa. Located in the remote bush, many campsites are private, wild, and unfenced. 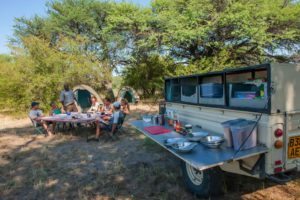 The Lion Safari is a unique opportunity to immerse yourself in the daily rhythms and magic of the African wilderness. 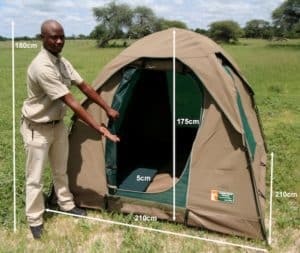 The Lion Safari is a "participation mobile camping safari" because guests "participate" by setting up their own tent, carrying their luggage from the vehicle to the tent, and sleeping on a mattress pad (not a bed or cot). The safari runs with one vehicle and a trailer to haul all the supplies as you move from camp to camp. Many guests will also pitch in with the cooking, though this is not required. 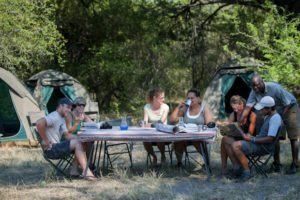 Each safari is accompanied by a professional guide and a camp assistant who will ensure your safari is safe, educational, and fun. All safaris are equipped with the luxuries required for travel comfort and peaceful relaxation (custom-built safari vehicles, a mobile kitchen serving good wholesome food with an African flavor and ice-cold drinks for that tropical sundowner) while still maintaining the exhilarating spirit of the adventurous traveler. 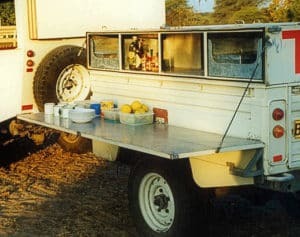 Folding windscreen; Removable canvas roof; Perspex windows for the cold and rain; Fridge for cold beverages,; Folding side door; Comfortable coil spring suspension; 120L water tank with tap; Open sides for unobstructed views. Chair box for easy access; Easy modular packing system – saves time; Folding side table complete with full kitchen behind. The tents are large and comfortable, the showers are private and hot and the bush toilets are clean and private. 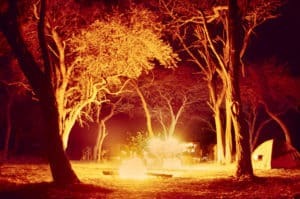 Meals are served in a tranquil setting next to the campfire in the African bush. Traditional meals are prepared on the open fire by the camp assistant. GROUP SIZE: Departures guaranteed with 2 people minimum. Maximum group size is 12. 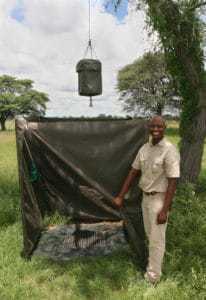 INCLUDED: Accommodation as specified in itinerary; Dome style tents with mattress (sleeping pad); Services of a professional guide and camp assistant; Transport in customized safari vehicles; Camping in private campsites within the national parks and reserves; Lodge accommodation in Livingstone; All entrance fees and camping fees within Botswana national parks and reserves; Meals, tea/coffee only, as specified in itinerary (rate does not include any other beverages); All activities as specified in the itinerary; Airport transfers in Maun only. EXCLUDED: All international flights and departure taxes; Entry visas; Travel insurance (required); Accommodation not specified in the itinerary (i.e. 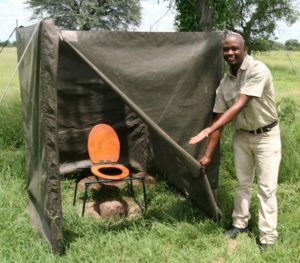 pre-night in Kasane); Victoria Falls entry fee; Optional activities/excursions; Staff gratuities; All beverages (alcohol, soft drinks, and bottled mineral water); Meals in Livingstone; Sleeping bag/pillow; Livingstone Airport transfer; Items of personal nature and toiletries; Increases in park fees. PAYMENT: A non-refundable, 20% deposit is required to confirm booking. Balance is due 7 weeks before departure. Safari rate can change based on currency fluctuations and we reserve the right to change the rate accordingly. Rate will be locked in upon confirmation. Rates per person and subject to exchange rate fluctuations. 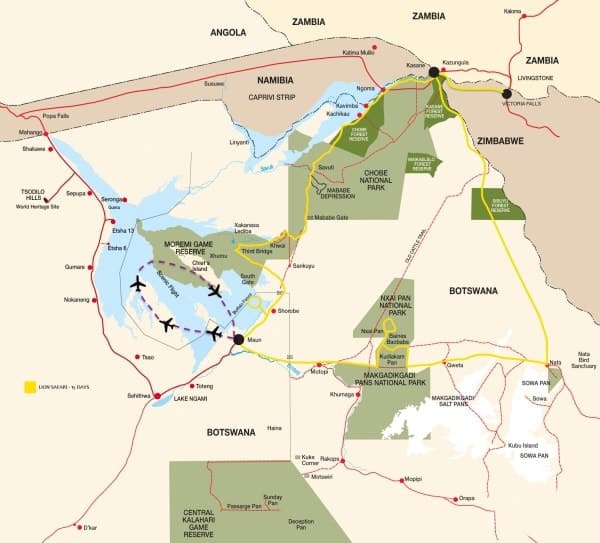 Route: Starts in Kasane, Botswana, ends in Victoria Falls, Zimbabwe (in yellow on map).